Be the first to share your favorite memory, photo or story of Elden. This memorial page is dedicated for family, friends and future generations to celebrate the life of their loved one. Elden Duane Wesely was born to Adolf and Agnes (Ondracek) Wesely on June 12, 1932, and passed away on February 1, 2019. Elden was raised on his parent’s farm south of Cedar Bluffs, Nebraska, and graduated from Cedar Bluffs High School. He attended the University of Nebraska and became a member of FarmHouse Fraternity. While at the University Elden met and fell in love with the woman he would marry – Connie Von Essen. After graduating in 1954 with an Ag degree, he enlisted in the Army as a Second Lieutenant. Elden achieved the officer rank of First Lieutenant before receiving an honorable discharge in 1956. Elden and Connie married on July 10, 1955, at St. Paul’s, Hooper, Nebraska. In 1956, they moved to Shelby, Nebraska, where Elden taught Ag to farmers on the GI Bill and did custom harvesting. In 1958 Elden and Connie moved to Benedict, Nebraska, and began farming east of Benedict. In 1964 Elden and Connie moved to Oakland, Nebraska, purchasing the farm Connie grew up on from Connie’s parents. Elden ran a successful farming business on the family farm. In 2004, they retired to a house in Oakland, Nebraska. Elden was an active member of St. Paul’s Lutheran church in Uehling, Nebraska, teaching Sunday School for years and serving as the chair of the building committee when the current church was built. 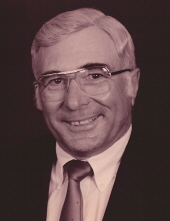 Elden was actively involved in Nebraska Farm Bureau, serving as President of the Burt County Farm Bureau; and in the Republican Party, serving as the Burt County Republican Chair. Elden was elected as a board member of the Lower Elkhorn Natural Resources District and served on the board for over 30 years, including three terms as its chair, and one term as the Nebraska State Chair. Elden was widely recognized for his conservation efforts, and won awards for the feedlots he designed and built to minimize runoff and environmental impact long before such measures were required. Elden enjoyed visiting with his family and friends, and was always quick to lend a hand. He was an avid supporter of the University of Nebraska, and followed its football and volleyball teams. He also enjoyed reading history books and watching public television. In college Elden learned to play bridge, and played the rest of his life. He was always ready for a game of cards, especially a game of Uehling rummy when his grandchildren came to visit. He will be dearly missed. Elden is survived by his wife of 63 years, Connie Wesely. He was predeceased by his brother, Marvin Wesely and his sister, MaryAnn Hawkins. He is survived by his brother, Robert “Bob” Wesely. He is survived by his children and grandchildren Nathan (Lisa) Wesely, parents of Sarah, Kate, John, and Adam, David (Laurie) Wesely, parents of Anya and Lauren, Annette (John) Shaughnessy, parents of Kara and John, and Mia (Aram) Montgomery. A donation to St. Paul's Lutheran Church or the Parkinson's Foundation would be appreciated. "Email Address" would like to share the life celebration of Elden D. Wesely. Click on the "link" to go to share a favorite memory or leave a condolence message for the family.